omegahertz.gr overdrive your senses with.. OmegaHertz! lives, news, music, videos, biography, discography, contact, shopping, + more! 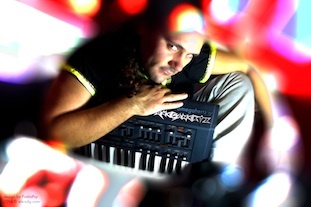 OmegaHertz is Dimitrios Pouranis, music producer and composer from Greece, creating music since 1996, with first web-release appearance 2003 and worldwide CD release, early at 2004. 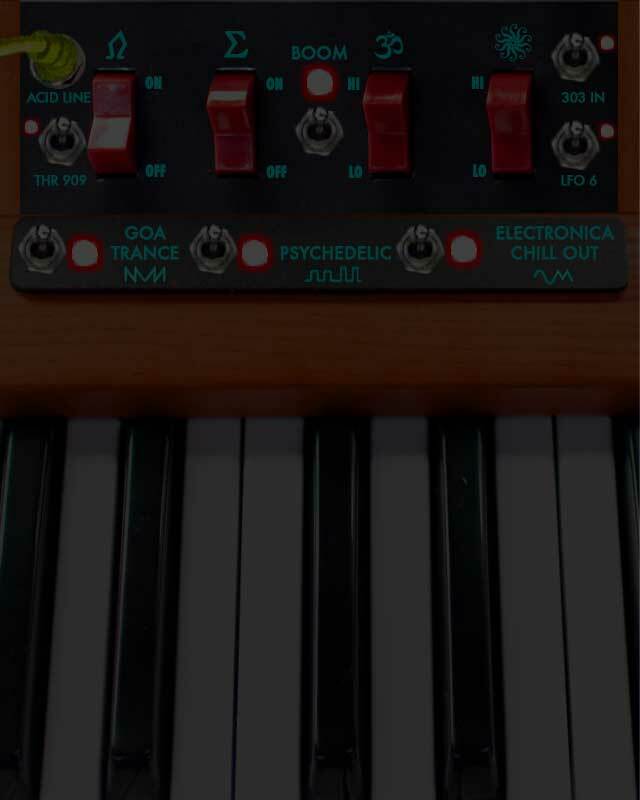 Record labels like Elxis discographic, Unicorn music, Dimensional records and more other, have host his music, in goa trance and psychedelic trance style, plus releases in other genres like, chill out and downtempo. From then till today he releasing new music and performing live shows, with great success, all around the human world, on several musical events and festivals. An artist who characterized like a brilliant performer of vocal, live and electronic instruments, of many kinds, like keyboards, wind instruments, flutes, chords, and many more. With his unique style of music as axis in his life and career until today, has a lot of superb releases as also albums and outstanding live performances, representing a positive feeling and choice of a lot of people around our world and not only! From 1990, Dimitrios was captivated from the electronic music, which has came back from 70’s and 80’s. 1994 as young child occupied with electronic music, massively. This was the time he started playing amateur as cassette jockey to private parties. Having a lot of musical hearings almost from every musical genre it was existed till then. 1996 the same time, he was forming several groups of lot different music genres, became known to this artist, the music “explosion”, Goa Trance. Almost instantly became frame and respect to his music expression. Therefore then, experimenting with several music hardware and software, has started producing music. 1998 essentially starts realizing Goa and Psychedelic trance. Also is working in several other genres like chill out and downtempo. Also starts working as Disc jockey professionally at several nightclubs. After lot of experimentation and unreleased music stock, under several artistic titles, 2003, in Januay of the same year, releases " Dreamcatcher" and " Theogenesis" music tracks via internet in collaboration with Unicorn music and their web releases. 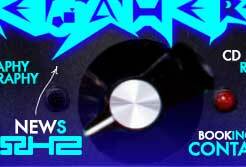 2004 did his first presence in discography with the, goa track "Elxis", under the artistic title "OmegaHertz", in he v/a "Conspiracy 2”, of the same music label. The same year as a lot of other releases, releases his psy-chill track “Nostos” for cosmicleaf records, having a huge success. 2005 music tracks like “Ionian seas”, and “Cosmovatis”, become favorites, and climbs at the highest of the chill out and downtempo charts. 2006 Is studding, music technology-sound and mastering engineering, having a bachelor degree on this science. He releases his first versus album and great success “Purple Energy 2” with “Goasia”, music project. He is also composing music on behalf of several tv channels and its shows. 2007 Continues collaborating with third party individuals on music. A lot of musical groups by several genres and purposes, passes successfully through the mixers and sound processors of Ikaros lab for mastering and sound engineering, (till today). 2009, 10th of July, releases, his debut goa-psychedelic trance, 12 track album, "Anamorfoplasis" and for the first time participates the glorious singer Silvie P. and great personalities like Anna A, Anastasia Alexiou. 2011 after a lot of difficulties, delays and an intermediate loss of a whole 10+ track album data, OmegaHertz gathers all his powers and with the true love of his supporters, hurls the exploding 14 track album "Valsamon", with the historical participations of Silvie P-(Sing), Di van Po-(sing) Anastasia Alexiou-(lyrics), Maria Papavasiliou-(lyrics, voice). 2013 finds, OmegaHertz, giving to the people his great “Gamma Sirius” album, at the end of the same year the unique extraordinary "Deca" and the superb ep "Entropia" by Spacedock records. 2014 delivers the unique "Spacewalker" in collaboration with Space Baby records in autumn his pure GOA trance "Esther Maslul" album with dimensional once more...plus lot of more incredible releases, and he goes on and on! Through years he is working and studding about Pythagorean music and harmony of celestial spheres, ancient and traditional music theory, compose of music, of musical instruments and also has been exposition overseer for global modern, music technology.